What originally started out as our Halloween retrospective eventually got pushed back, and then pushed back again and again until finally we decided we’re going to celebrate Christmas in December. I know I’ve mentioned Zombies Ate My Neighbors in previous posts, but now I feel I need to get it its proper kudos. Zombies Ate My Neighbors isn’t typically the co-op game that most people remember sinking hundreds of hours into in the early/mid-90s, but over the years it has morphed into one of the premier cult classics of the classic 16-bit generation. 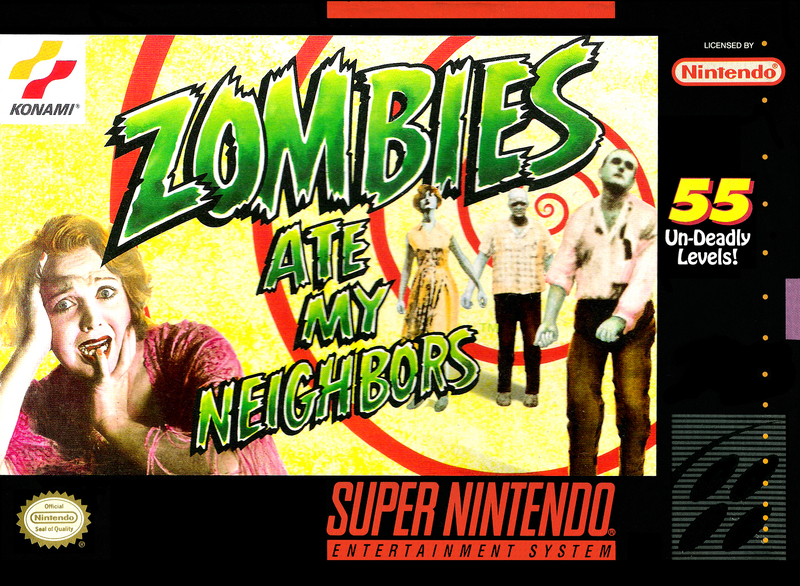 When Nintendo was originally set to launch the Nintendo Wii, Zombies Ate My Neighbors was one of the games that fans sounded off about for inclusion on the Virtual Console store before the system even launched, proving that its popularity has only grown as years have passed. I believe that part of its cult classic status is due to the fact that there hasn’t been a game that has come around like it since then. The game did have a sequel and a quasi-spin-off, but no game has been able to capture the same type of magic that turned ZAMN into what it is today. On the surface it looks like any other top-down arcade action game, but when you dig deeper you come to find just how much more there is to the game. 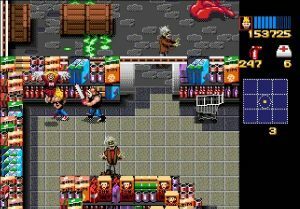 With its 50+ mini-sandbox levels, the tributes to classic B-horror films like Attack of the 50-Foot Woman and The Blob and more mainstream slashers like Friday the 13th and The Texas Chainsaw Massacre, its many secrets, its twisted humor, the way its combat encourages strategy and ammo conservation, its easy to see why Zombies Ate My Neighbors is more than just a lost relic to the games of yore. My co-host Luke and I get into all of those and much more as we dissect one of our personal favorite games from what is objectively the best era in video game history.